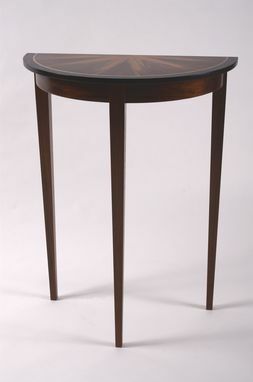 This hall table is delicate in design, yet bold in pattern. It shows off a design of Etimoe veneer done in a starburst pattern. There is a ring of Wenge veneer around the starburst framed in walnut and a maple inlay. 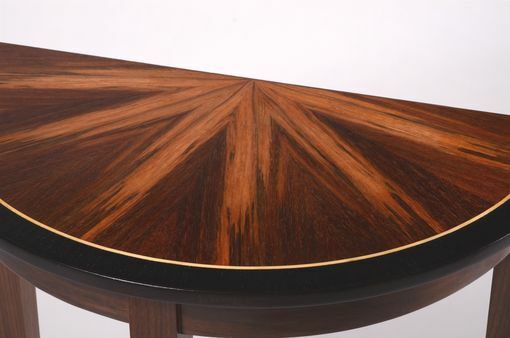 The base is solid walnut.